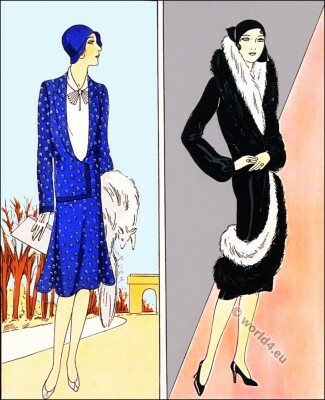 History of Costumes and Fashion during the the Art Deco period. French Haute Couture, Flapper, Gibson, Magazines. This entry was posted in 1914, 20th Century, Art Deco Period, France, Haute couture and tagged Art Deco Fashion, Georges Dœuillet, La Gazette du Bon Ton on 5/11/18 by world4. Robe du soir, de Paul Poiret, 1920s. Le Jardin de L’Infante – Robe du soir, de Paul Poiret. 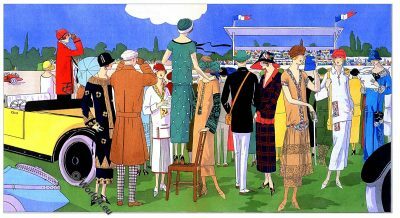 This entry was posted in 20s, 20th Century, Art Deco Period, France and tagged La Gazette du Bon Ton, Paul Poiret on 5/10/18 by world4. Le Grand Prix D’Europe au Circuit de Lyon. This entry was posted in 20s, 20th Century, Art Deco Period, France, Le Style Parisien and tagged Art Deco Fashion, Georges Dœuillet, Jean Patou, Jeanne Lanvin, Premet on 9/17/17 by world4. Ensembles of Bernard & Cie and Ardanse. Page of the fashion magazine Art-Goût-Beauté (1920-1933). This entry was posted in 1932, 20th Century, 30s, Art Deco Period, France, Haute couture and tagged Ardanse, Art Deco Fashion, Bernard et Cie on 11/9/16 by world4. Création Chanel. Dress worn by Princess Dimitri. Création Chanel 1932. Dress for afternoon-evening. 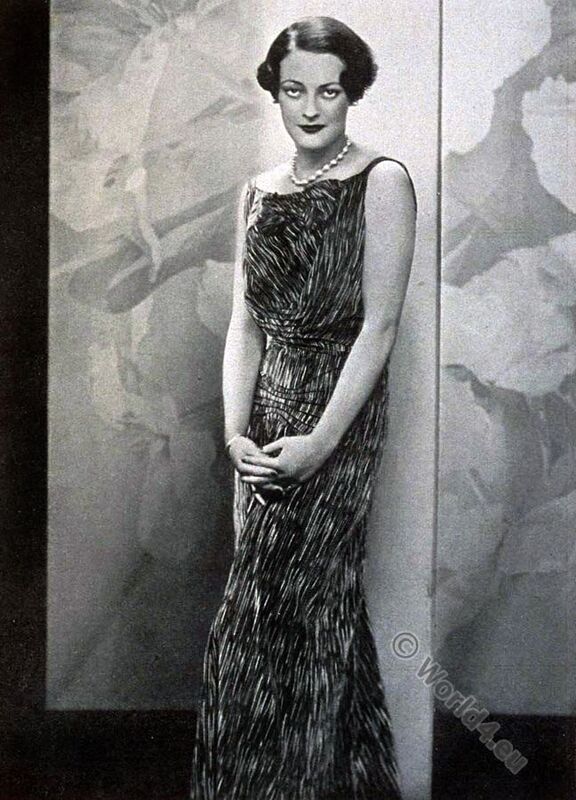 This entry was posted in 1932, 20th Century, 30s, Art Deco Period, France, Nobility and tagged Art Deco Fashion, Flapper, Haute Couture Costumes on 10/25/16 by world4. Costumes Aladin by Germaine Lecomte 1929. 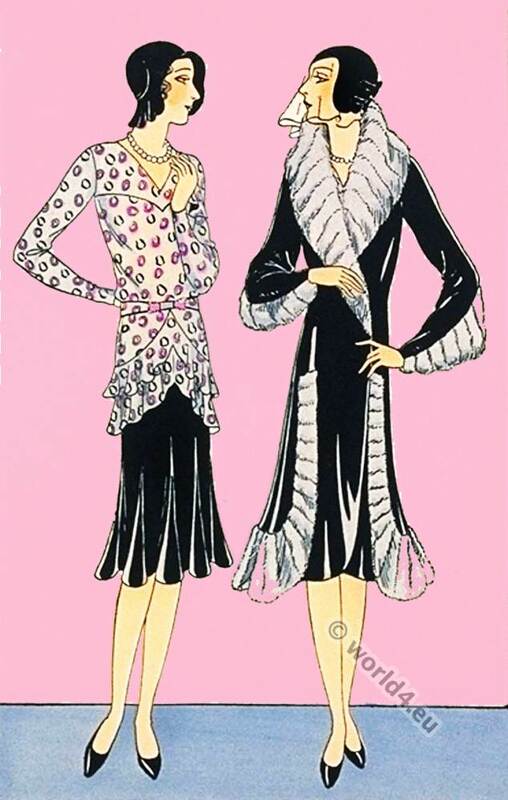 This entry was posted in 1929, 20s, 20th Century, Art Deco Period, France, Haute couture, Les Creations Parisiennes. 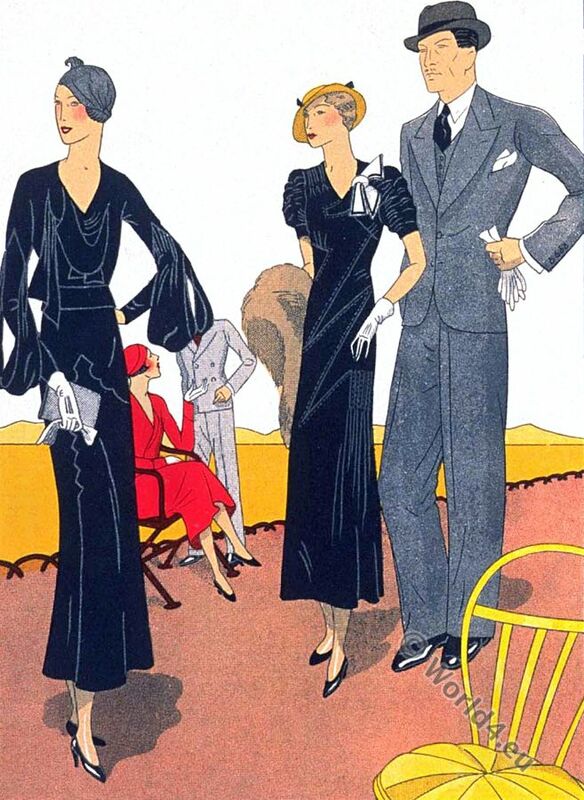 and tagged Art Deco Fashion, Flapper, Germaine Lecomte, Haute Couture Costumes on 12/21/15 by world4. Chic manteau de velours noir by Germaine Lecomte. This entry was posted in 1929, 20s, 20th Century, Art Deco Period, France, Haute couture, Les Creations Parisiennes. and tagged Art Deco Fashion, Flapper, Germaine Lecomte, Haute Couture Costumes on 10/26/15 by world4. Fantasy costume design of the mother of Venus, by Léon Bakst. 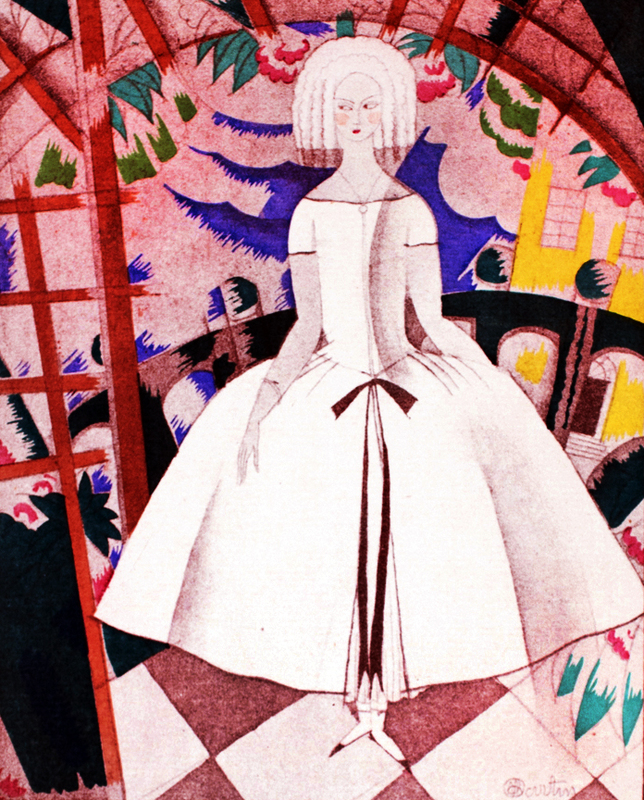 ‘Fantaisie Sur Le Costume Moderne, Dioné’, By Léon Bakst 1914. Dione is in Greek mythology, the mother of Aphrodite. In Roman mythology, she is equated with Venus. Or Dione (Greek Διώνη) is in Greek mythology, the daughter of Atlas and the wife of Tantalus, thus the mother of Broteas, Pelops and Niobe. Art deco, Art nouveau fashion era. This entry was posted in 10s, 20th Century, Art Deco Period, Art Nouveau, Fantasy costumes and tagged Art Deco Fashion, Léon Bakst on 7/21/15 by world4. 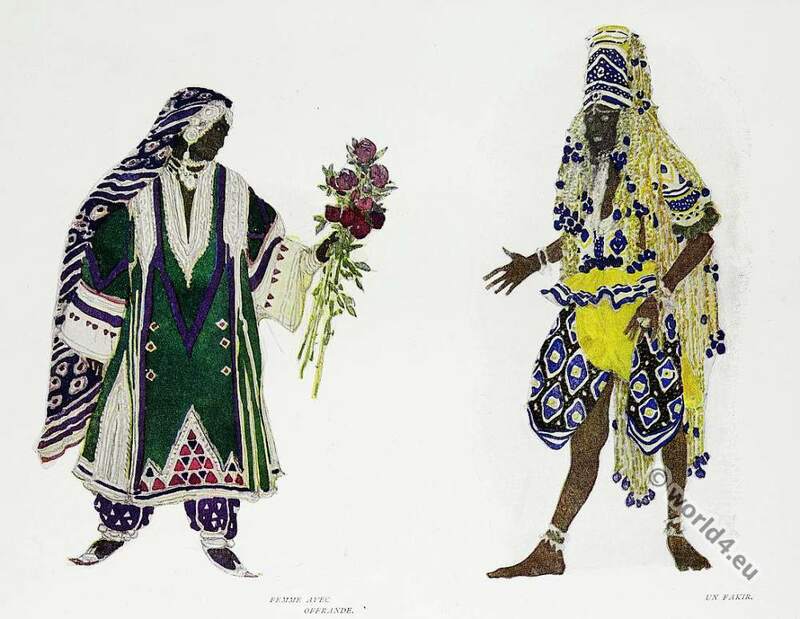 Costume designs for the Russian ballet by Léon Bakst. Costume designs for the Russian ballet “Le Dieu Bleu.” By Léon Bakst. 1914. Femme avec Offrande. Un Fakir. Costume designs for the Russian ballet “Le Dieu Bleu.” by Léon Bakst. Femme avec Offrande. Un Fakir. 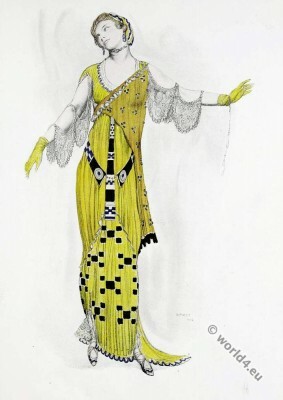 This entry was posted in 10s, 20th Century, Art Deco Period, Art Nouveau, Fantasy costumes and tagged Art Deco Fashion, Léon Bakst, Opera on 7/20/15 by world4. 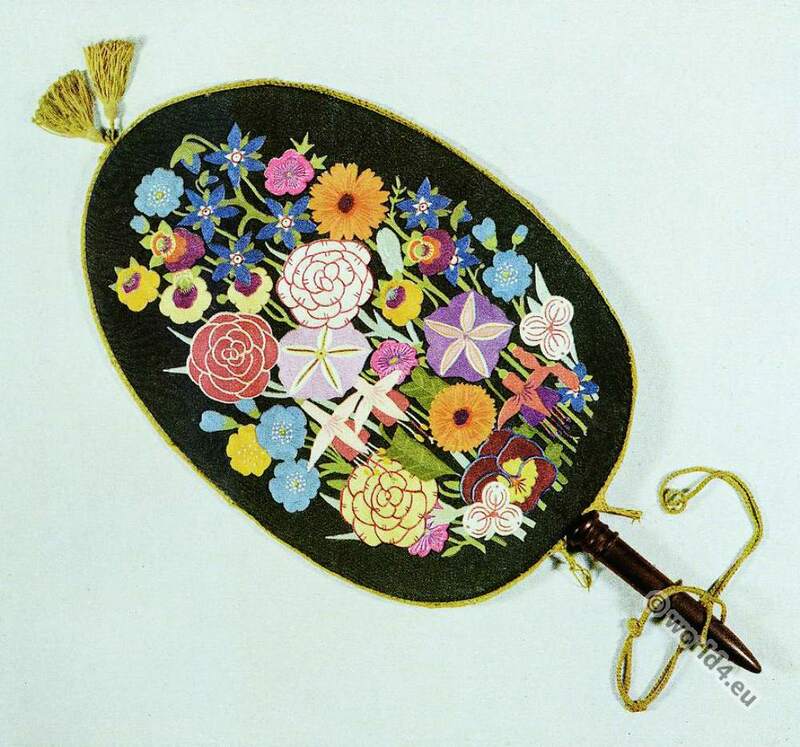 Embroidered Fan. 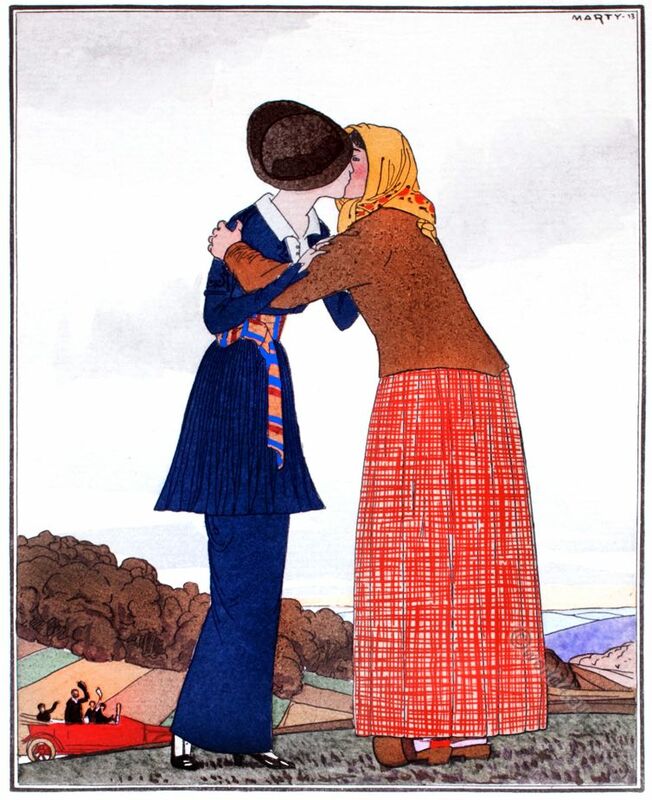 Designed by Lilian Archer 1914. Executed by Alice Archer. Owned by Mrs. Drinkwater. Art deco, Art Nouveau era. This entry was posted in 10s, 20th Century, Accessoires, Art Deco Period, Art Nouveau, Embroidery and tagged Embroidery designs on 7/19/15 by world4. Haute couture dresses by Beer, Redfern. 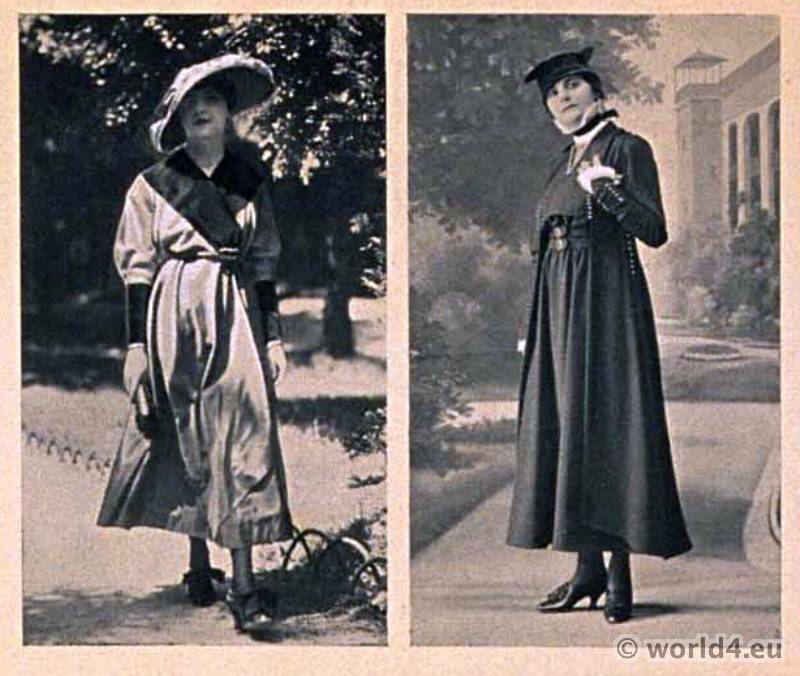 Le style parisien 1915. Dress from Beer`s in almond green corded silk, trimmed with plain black velvet. Clichés Style Parisian, Beer. Dress from Redfern`s in blue serge, trimmed with small steel buttons. Gallery: Le style parisien. Supplément du ” Style Parisian ” No 3. Le Directeur – Gérant: Lucien Vogel. This entry was posted in 10s, 1915, 20th Century, Art Deco Period, France, Haute couture, Le Style Parisien and tagged Art Deco Fashion, Couturier, Drecoll-Beer, Lucien Vogel, Redfern on 8/29/14 by world4.